I don’t like how they are disrespecting Mr Trump, I don’t at all. 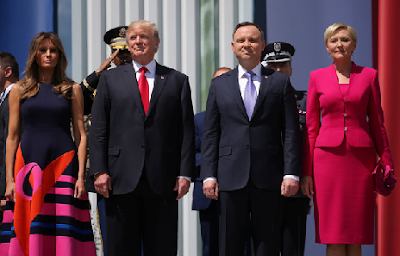 So Poland’s First Lady Agata Kornhauser-Duda deliberately snubbed US President during his state visit to Warsaw. Lady Melania Trump, soon as Trump stretched out his hand to shake her. She didn’t wait at all, she just kept walking towards Melania! Watch the video below… Oh dear! Double Sigh! !